The Wounaan Baskets are known to be one of the finest baskets in the world. 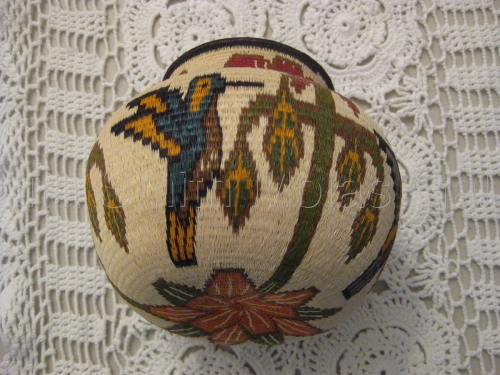 Each basket is a unique piece of art, none are exactly the same, the colors are very natural and there is a great variety on the designs, some are ancient designs, others are out of the wisdom of the artist. They range in size starting with the plates to tall "vase" baskets, from 3" up to 3 feet. The Wounaan Natives from the Darien Rainforest and the Embera Indians are master artisans, they handmade these fine woven baskets and plates made out of the strands of the black palm known as "chunga" plant, the work normally take the artisan months up to years to be completed. The weaving is so thight that the baskets can hold water. 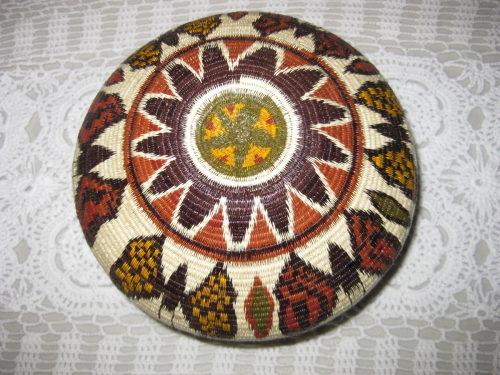 The women are well known for their baskets and the men for the Cocobolo wood and Taguas. The artworks of the Wounaan are a true piece of art but the Embera are very talented artisans. 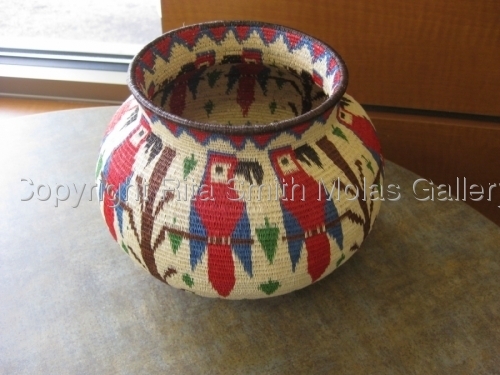 The art of the baskets "hosig di" has been handed down from mothers, grandmothers to the new generation. Each baskets/plates were hand woven using natural fibers found in the rainforest, a variety of reeds are normally used. The colors are produced with natural-organic extract of plants and earth using the traditional method of dying the basket fibers. After all the fibers are prepared, the weaving process begin. These baskets can portray very ancient designs, insects, animals or life in the village. An original Wounaan basket can bring accent to your office, guest room, living room, beach home. Don't miss the opportunity to own one of these beautiful baskets. Note: Darien Rainforest Basketry (book) is available in my website for sell, the book explain step by step about how these baskets are made and is illustrated with beautiful pictures, English version. I have a great selection of these baskets, some may not be listed yet, if you e-mail I can send you picture of all other baskets.